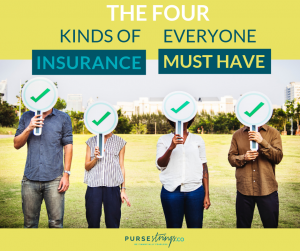 There is a ton of different types of insurance to consider. Coverage can be pricey--and picking out which coverage you truly need can be confusing. Some types of insurance are absolutely vital. These can save you headache and money if you get into a sticky situation. This guide outlines the types of insurance that are essential for every adult to have. In most states, every driver must have at least bare-bones auto insurance. Your only decision is what type of coverage works for you. You could go for basic liability-only insurance. This just pays for damaged property, medical costs and lost wages for other drivers and passengers if you’re at fault. Want coverage for personal injuries, or non-collision incidents (like vandalism)? That will cost more. A scroll through Facebook usually includes at least one health-related GoFundMe plea. In most cases, those poor souls were caught unprepared. Either they had weak coverage, or no coverage at all. Insufficient health coverage is a two-fold problem. One, you might miss out on life-saving care. Two, you’re exposing yourself to sky-high medical bills if insurance doesn’t cover treatment. Your home is likely your most valuable asset. What if your house or apartment is hit by fire, flood or other tragedy? What if burglars empty your place while you’re on vacation? Having homeowner’s or renter’s insurance ensures you’re more likely to recover at least some of what you lost. As much as we don’t like to think about it, we’re all going to meet our end someday. There’s nothing we can do to avoid it. What we can avoid: leaving our loved ones in the lurch with expenses. Life insurance eases the burden by providing your survivors with funds to pay funeral expenses, household bills and more after your departure. While you may get this coverage from an employer, it might not be sufficient if you’ve got a family and kids. If you’re a stay-at-home-mom, you definitely need coverage. Everyone’s circumstances are different. That’s why you could use an insurance pro to help you determine what coverage, covers you. 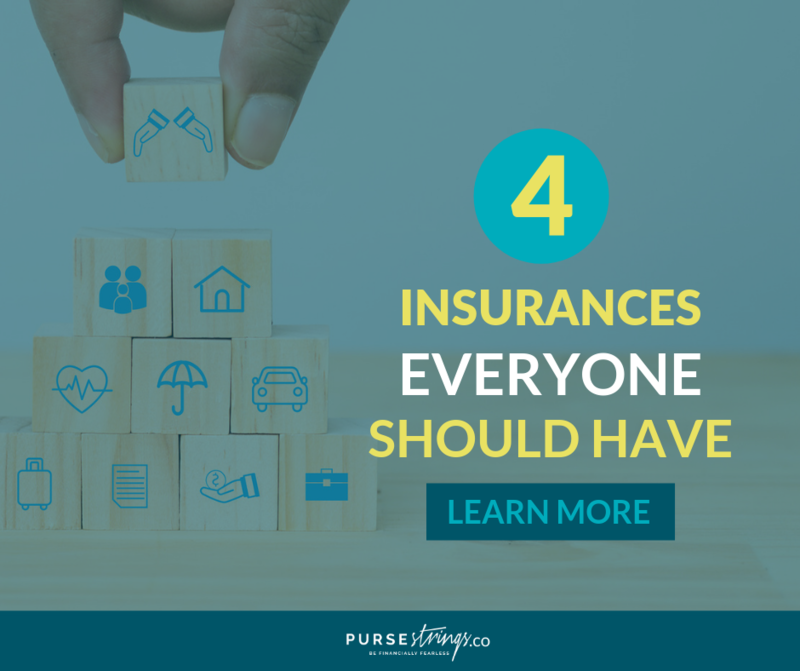 Having these basic insurances is a no-brainer. What’s more challenging is determining how much and what types of coverage you need. If you’re scratching your head, don’t hesitate to reach out to Purse Strings. We can connect you with the right answers and resources to get you covered.